What services do ZCG Scalar offer ? 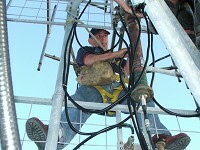 Refurbishment and tuning of antenna arrays. Standby system recommendation and installation. Why perform yearly maintenance ? Yearly maintenance and reporting can keep you ahead of any issues. Having a maintenance history makes it easy to diagnose faults when they do occur. Having a well planned yearly maintenance schedule is cost effective, where as a week outage caused by an unknown failure or fault is not. What is involved with refurbishment ? 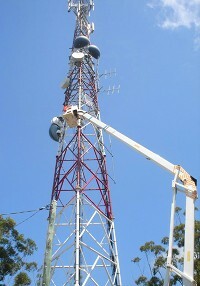 The level and type of refurbishment required will determine whether we work on the antennas while they are still on the tower, or remove them and ship them back to our maintenance and repair facility. If you would like more detailed information about ZCG Scalar’s Site Maintenance Services, please contact the Technical Services Division to discuss your requirements. What other simple precautions can I take ? In the event of a lightning strike, protecting your expensive transmitter from a potentially destructive power surge is obviously an important precaution. A Coaxial Power Surge Protector installed in the cable line will give your transmission equipment the best chance of survival. A Ground Earthing Kit is vitally important as well.